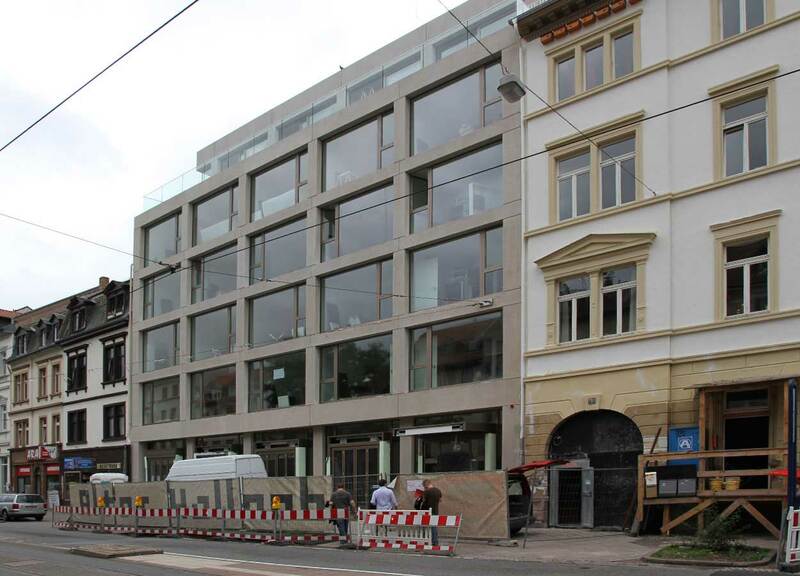 The long list of major projects in the construction of stationary fire-extinguishing systems which we have successfully completed reflects the comprehensive expertise of Callies GmbH, in particular in retrofitting high-pressure water-mist systems into existing structures. We accompany each project from the earliest stages and are always at your side with expert knowledge and advice. This will frequently open up new options for building owners and architects to “push the limits” in creative and, at the same time, resource-saving ways. Much too often, building permits contain demands that leave little room for visionary solutions. For many challenges, we develop an ideal solution by compensating these restrictions with intelligent fire-extinguishing concepts. Callies high-pressure water-mist fire-extinguishing systems can be integrated almost invisibly into a building. A pump center with storage tank, e.g. for event venues, shopping malls, highrises, or lab buildings, may be fitted into a space as small as approximately 25 m2 (270 sq.ft.). Depending on the requirements, the diameters of the main pipes may be as small as 1 inch (2.5 cm). 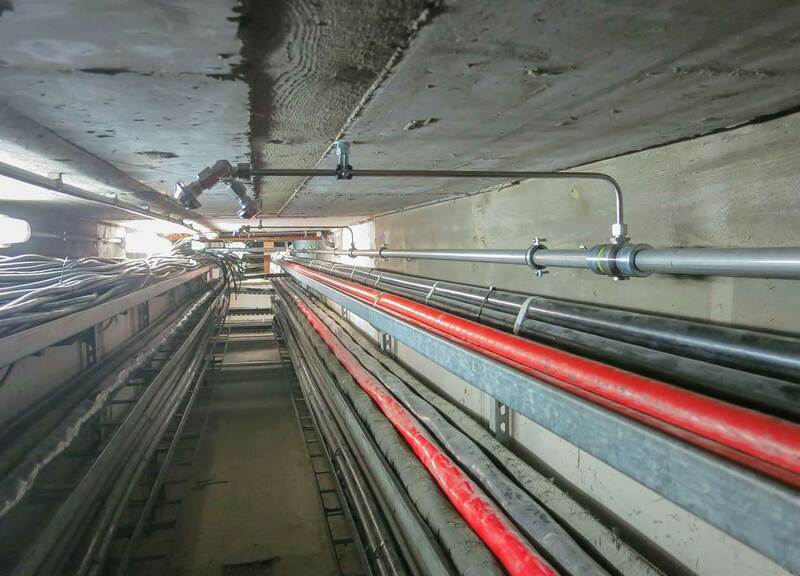 In combination with our groundbreaking press-fitting joining technology, a sophisticated alignment process, and adjustable metal-hose joints, the stainless-steel pipes may be adapted flexibly to every conceivable building shape. It is also possible for our smart system solutions to install them in concrete, in soil, across roofs, or underneath floor screed. The high water demand of sprinkler systems, along with the associated expenses for water storage and discharge, plus the unproductive use of space, already add up to an enormous cost factor that can easily be eliminated with HPWM systems. 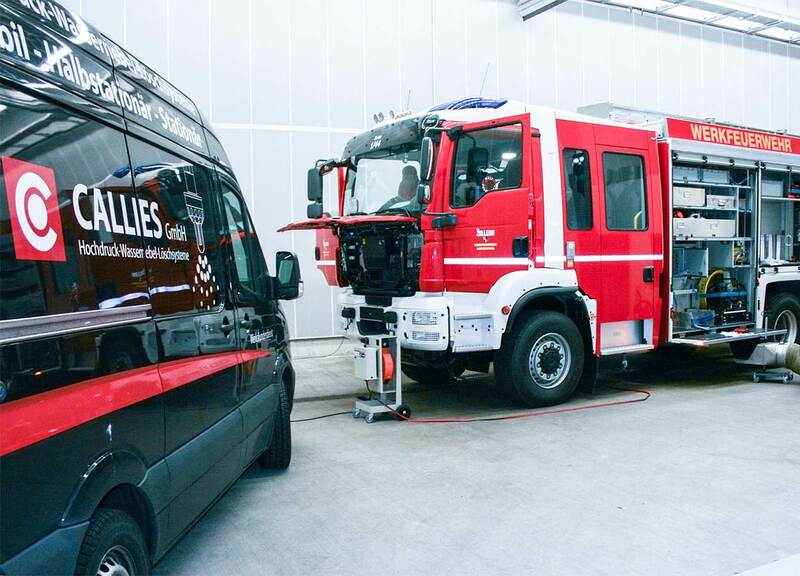 Together with our customers in the large-scale and heavy industries and in close cooperation with expert inspectors, Callies GmbH has developed and successfully implemented suitable fire-protection concepts in this area. 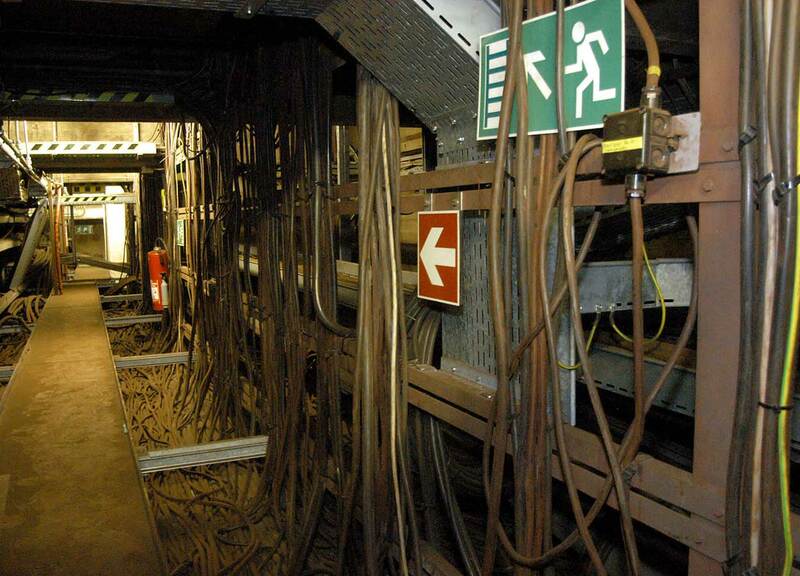 Cable conduits, false floors, and switchboards are usually enclosed spaces with heavy fire loads, in which fires can spread quickly and access may be difficult. Protecting “nerve centers” of this kind should be a top priority in all industrial facilities, since a comparatively small fire in places like these may cause substantial downtimes in production. The use of gaseous extinguishing agents always requires a time-consuming advance warning and evacuation time. The gas can only be piped into the affected area after it has been ascertained that everybody has left the room. This procedure wastes valuable time in the early phase of the fire and allows it to spread in the meantime. High-pressure water-mist systems do not require any lead time and can commence fighting the fire instantly. 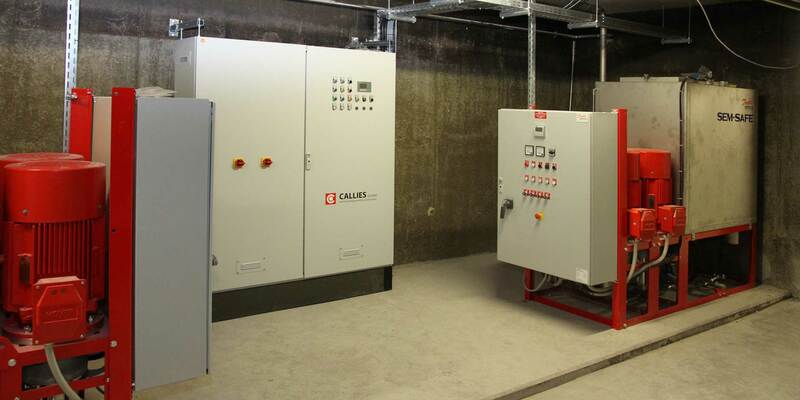 Callies SEM-SAFE® high-pressure water-mist fire-extinguishing systems lower room temperature levels as soon as they are activated, and they also sluice out soot and suspended particles from the ambient air. This also improves visibility in an affected room. Low water consumption in combination with maximum efficiency economically protects valuable assets and minimizes downtimes. Highrise buildings present special challenges for preventive and defensive fire safety, since evacuating the building and attacking the fire will be more difficult here than in buildings of low or medium height. A fire in a highrise may not only destroy the affected rooms but also risks affecting the structural integrity of the building as a whole, up to a complete collapse. 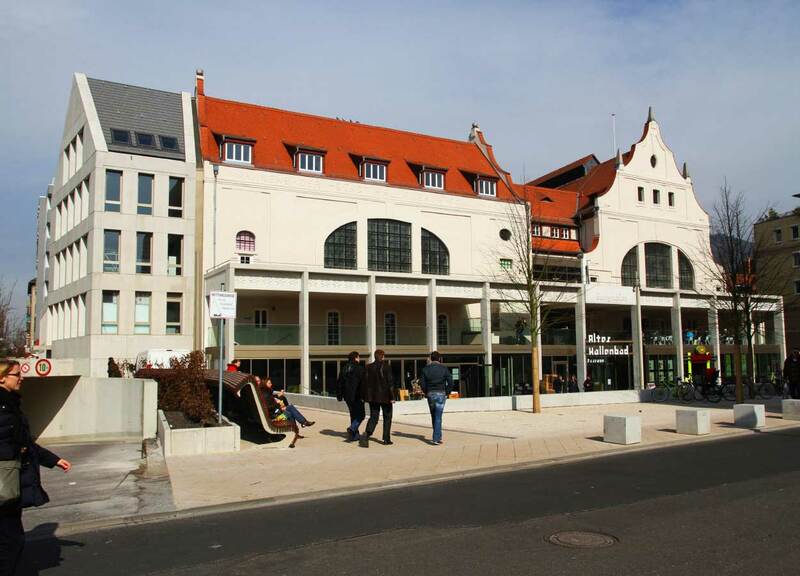 Heritage-protected buildings are important witnesses to our history. In ensuring their fire safety, it is important not to alter the original appearance of the object, while, at the same, providing it with state-of-the-art protection. 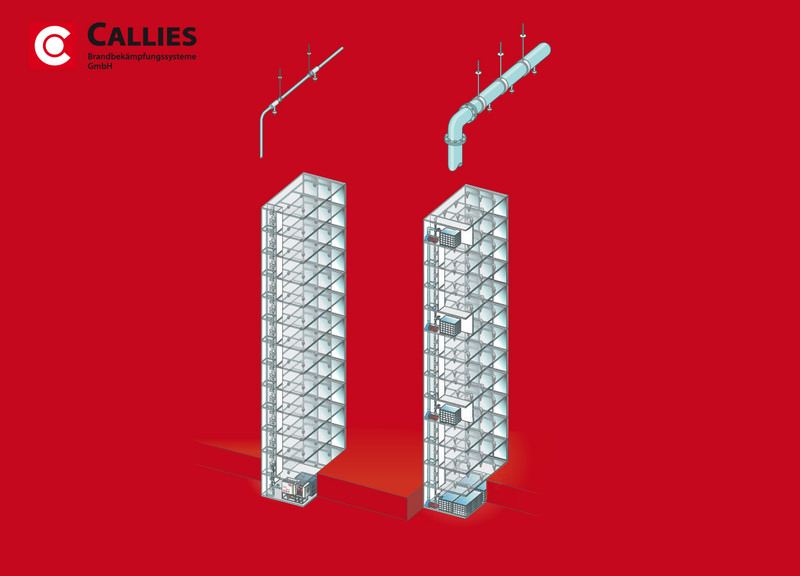 The comprehensive fire protection offered by Callies HPWM systems compensates for structural peculiarities while taking into account the building’s current use and its ensuing demands. 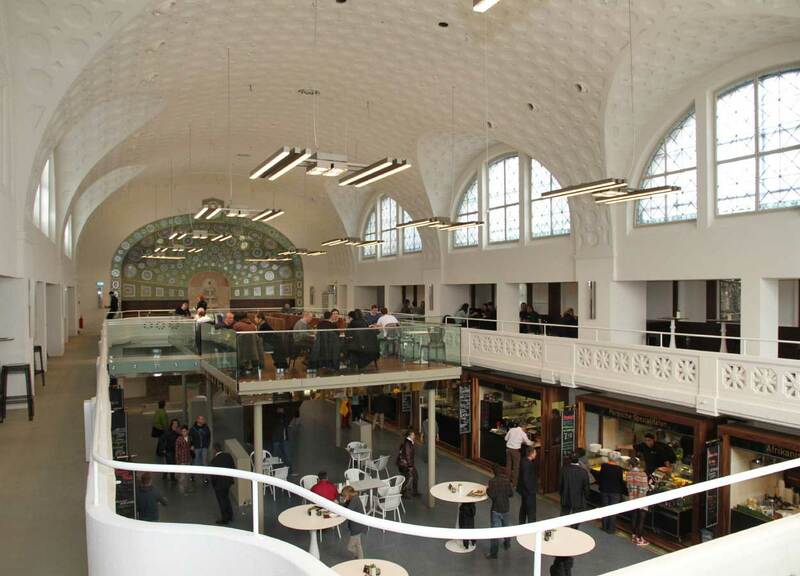 One example is the old indoor pool in Heidelberg, Germany, which ceased being used for swimming in the 1980s and, after several years of vacancy, is now used as a market hall, event dining venue, supermarket for “organic” food, cosmetics center, hotel, and tax accountancy, along with the corresponding underground parking facilities. Needless to say, provisions to safeguard existing standards did not apply to this building, which is more than a hundred years old and has been thoroughly converted. 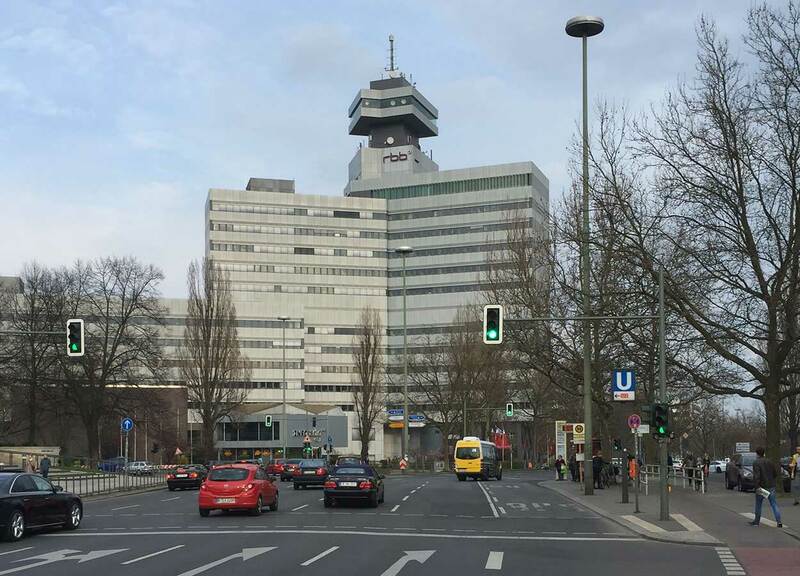 It is all the more pleasant to see how this building shines in new splendor, while safety-related technology has inconspicuously blended into the background. Thanks to extremely small pipe diameters, a compact central control, and a smooth combination of wet-pipe and dry-pipe systems, a single system is able to secure large glass surfaces against flashover to adjacent floors, commercial kitchens, underground garages, and shop floors. The coordination of the two different fire-alarm systems used in this spacious complex was no problem for Callies controls. Fire alarms are handed over to the different systems by section, and their fire-extinguishing commands are processed. 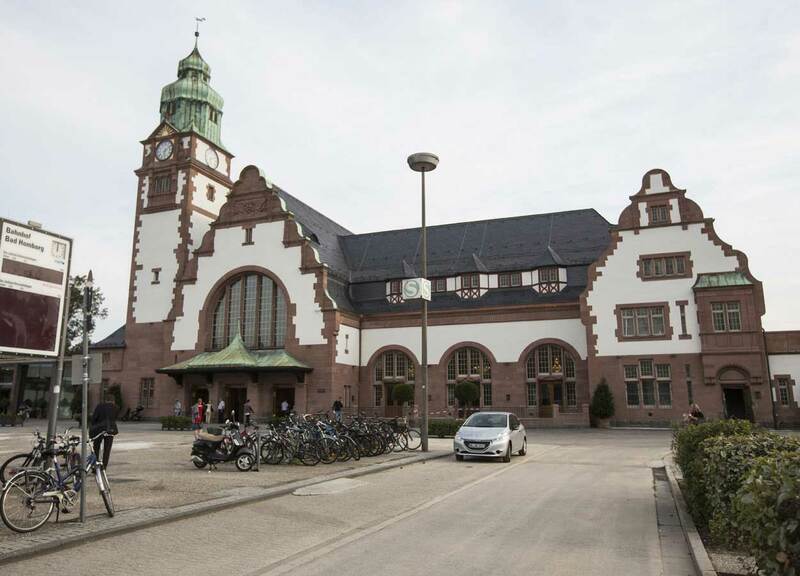 The thoroughly renovated Kulturbahnhof in Bad Homburg, Germany, is another excellent example for state-of-the-art fire-extinguishing technology being employed to protect precious historical buildings. Research today always requires substantial investments into laboratories and highly sensitive equipment. Equally precious are the irreproducible insights from ongoing long-term experiments which rely on constant environmental conditions and a working infrastructure. Callies HPWM systems fight fires in a “minimally invasive” way. 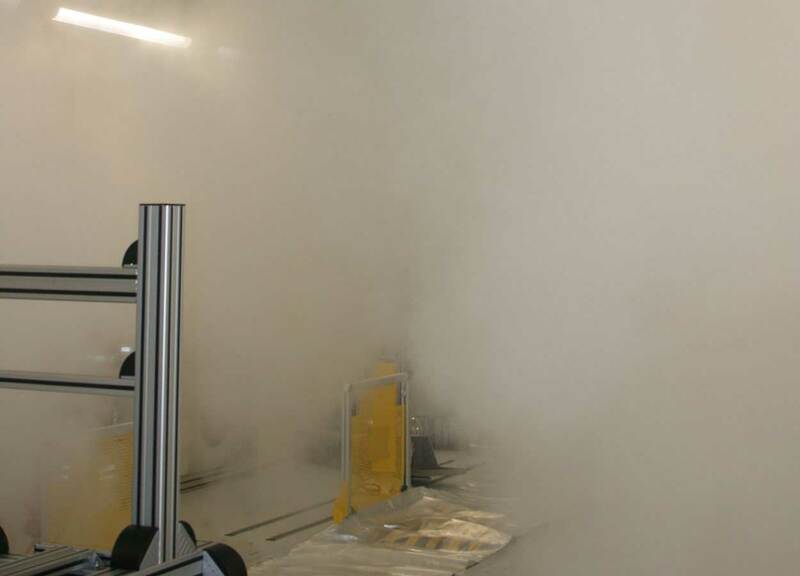 If a fire occurs in one lab room, it can be extinguished quickly – depending on the preselected activation method –, suppressing destructive heat radiation and large-scale contamination from condensed fire gases or from extinguishing water at an early stage. Tests have shown that high-pressure water mist does not impair the functionality of appliances with an international protection (IP) rating of 23 or higher. 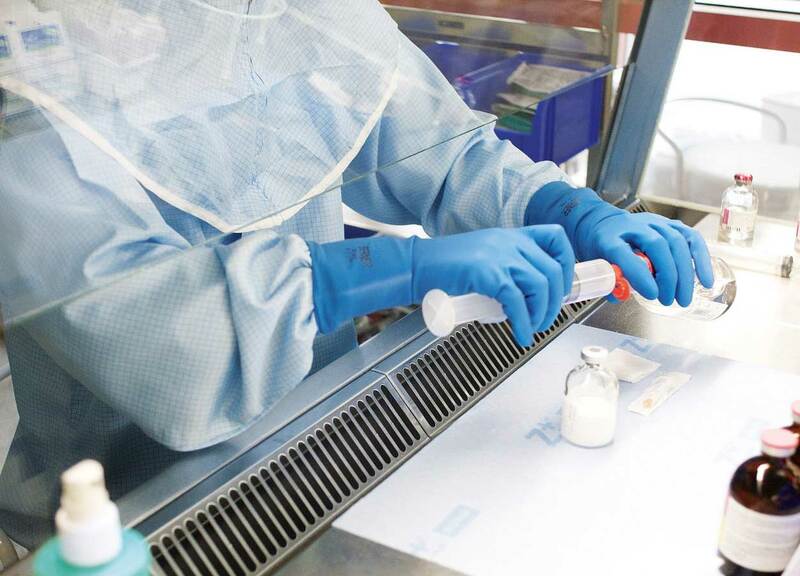 Our systems are also used in laboratories with the highest biosafety levels (BSL 3 and 4). After initial activation of the system, fires are being extinguished for a preset amount of time, while the affected room is hermetically sealed off from its environment. Even firefighters do not have access to such safe areas, due to the high risk of contamination. 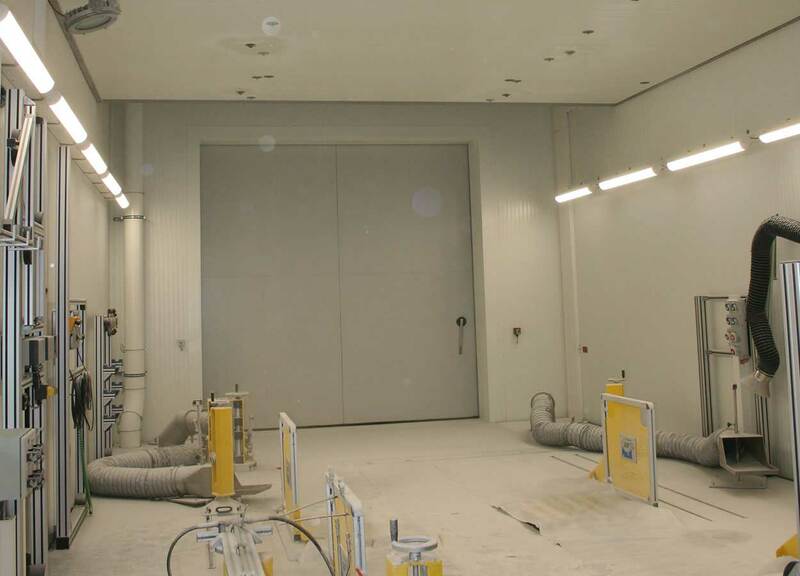 With our high-pressure water-mist fire-extinguishing systems, Callies GmbH protects numerous production sites of automobile manufacturers and their suppliers: engine test beds, roller chassis dynamometers, climate-testing chambers, spray booths, paint-mixing rooms, and storage facilities for flammable liquids. These rooms are designed and executed as open deluge systems, according to Danfoss Semco’s system certifications (VdS / FM / IMO). 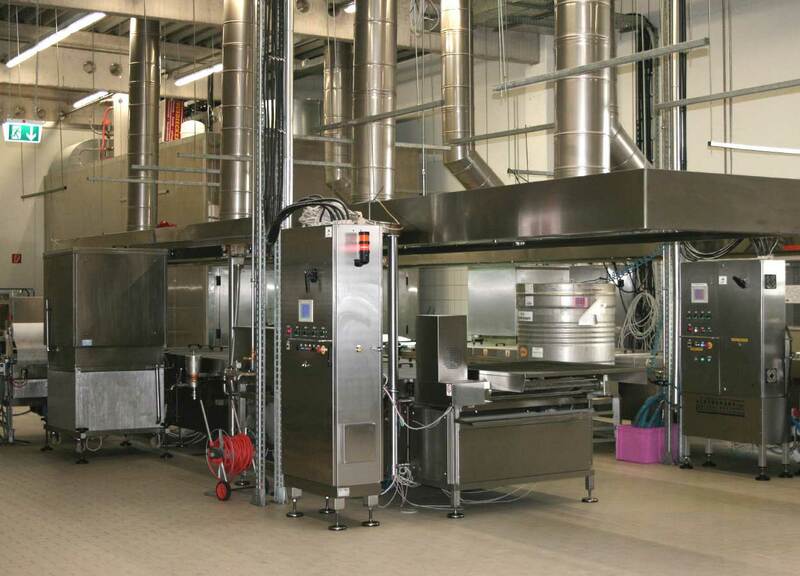 Callies offers you a type of fire protection for machinery spaces with a highly efficient high-pressure water-mist fire-extinguishing technology that does not require any special additives or gaseous agents. Consequently, fire extinction that sets in immediately after fire detection and while humans are still present will not be hazardous to their health. Immediately upon activation, Callies SEM-SAFE® high-pressure water-mist fire-extinguishing systems will lower room temperature levels and also sluice out soot and suspended particles from the ambient air. This improves visibility in an affected room as well. Low water consumption in combination with maximum efficiency economically protects valuable assets and minimizes downtimes. If electrical components with international protection (IP) ratings of 22 or higher are present, they will not be damaged by the high-pressure water mist. 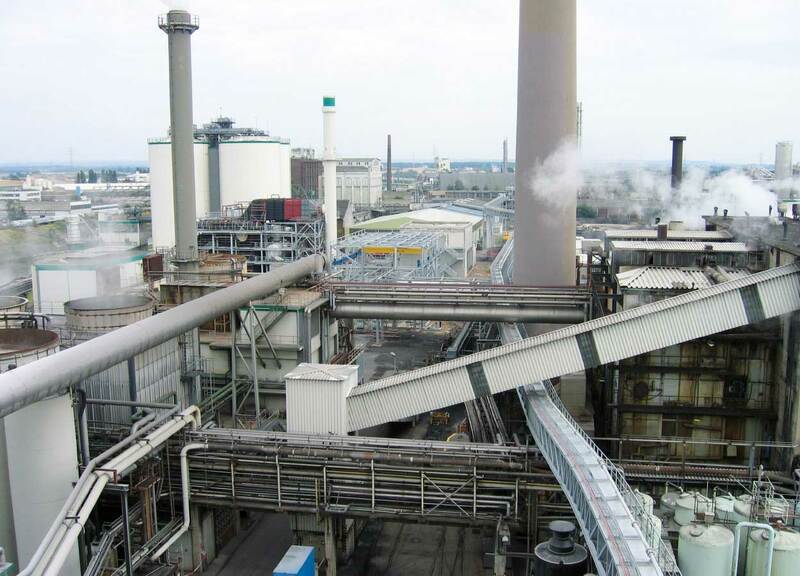 Moreover, ours systems are capable of replacing traditional halon or carbon-dioxide systems. In the event of a fire, heavy smoke and toxic gases can make access to these spaces difficult. Protecting “nerve centers” of this kind should be a top priority in all industrial facilities, since a comparatively small fire in places like these may cause substantial downtimes in production. The gaseous extinguishing systems that used to be installed in places like these have fallen into disuse due to the high probability of endangering human health or lives. 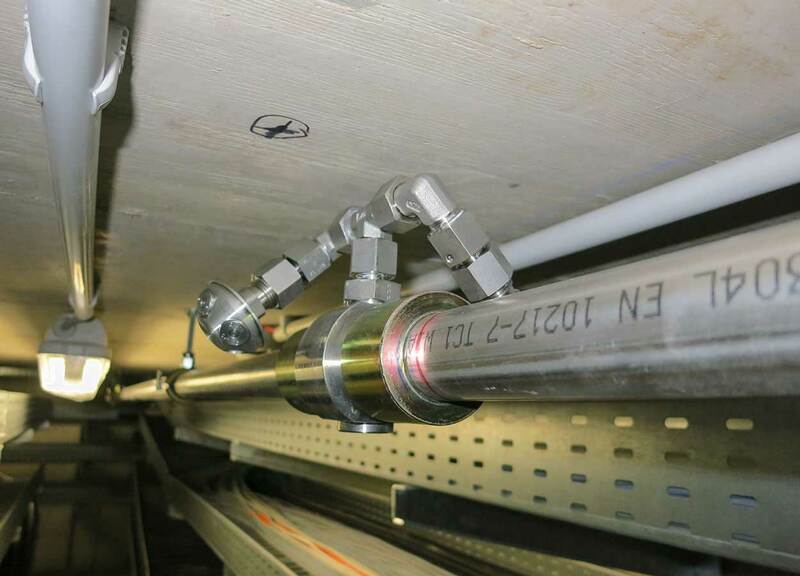 Small pipe diameters allow Callies SEM-SAFE® high-pressure water-mist fire-extinguishing systems to be installed with minimum effort and to be integrated into existing rooms or concepts. 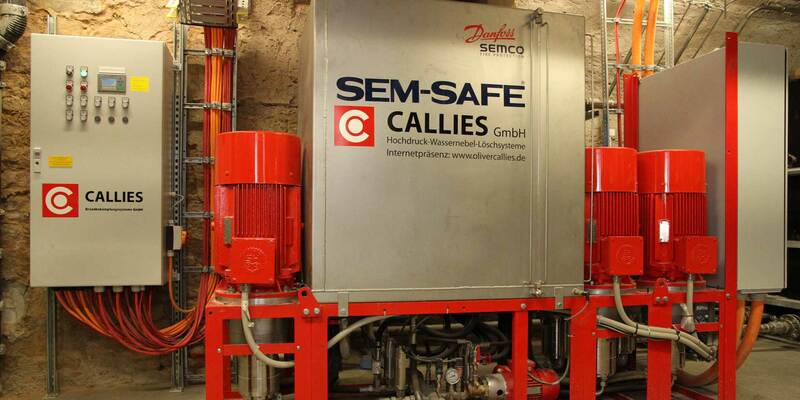 While there used to be great resentment against water-based extinguishing systems around electrical installations, practical experience has shown that they can be saved without any significant damage in the event of a fire by Callies SEM-SAFE® water-mist systems. The number of industrial applications keeps growing year after year. The excellent cooling effect of Callies SEM-SAFE® systems enables a quick suppression of the fire and prevents its rekindling. The system is activated either manually or automatically via a suitable detector. The Callies SEM-SAFE® system may be kept in operation until the fire is extinguished and a rekindling has become impossible. Public spaces and offices are subject to special fire safety regulations, and it is often difficult to protect people and assets at the same time. For this reason, a rapid-intervention fire-alarm and fire-extinction technology is extremely important. There are many reasons to choose a Callies SEM-SAFE® water-mist fire-extinguishing system in these cases, too, to protect office spaces, hotels, and other public circulation spaces. Water mist is recommended for this specific application as well, since it cools down both the source of fire and its surroundings and also cuts off oxygen influx. Due to their extremely minimized pipe diameters, these systems are perfectly adaptable and do not tarnish the overall architectural design even in modern steel-and-glass structures. The stainless-steel piping may run either in the open or well-concealed. 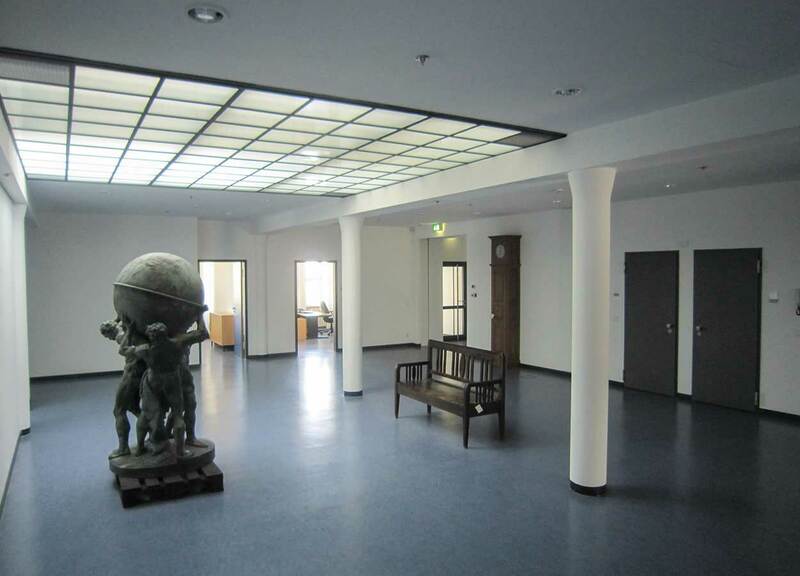 Even rooms with high ceilings can be protected perfectly with Callies SEM-SAFE® water-mist systems. Burning fat or oil should never be doused with water, since the fireball that follows the fat explosion would multiply the damage and could also lead to severe burn injuries and other bodily harm. This is one of the earliest lessons taught to any firefighter. However, the SEM-SAFE® DFF system was developed for exactly those kinds of fires in deep fryers, and it has proven its superior efficiency in various tests and actual kitchen fires. Since we disperse the fire-extinguishing water in a very fine homogenous mist, it will not penetrate the hot frying fat, and the heated-up system is cooled down without creating the dreaded fireball. 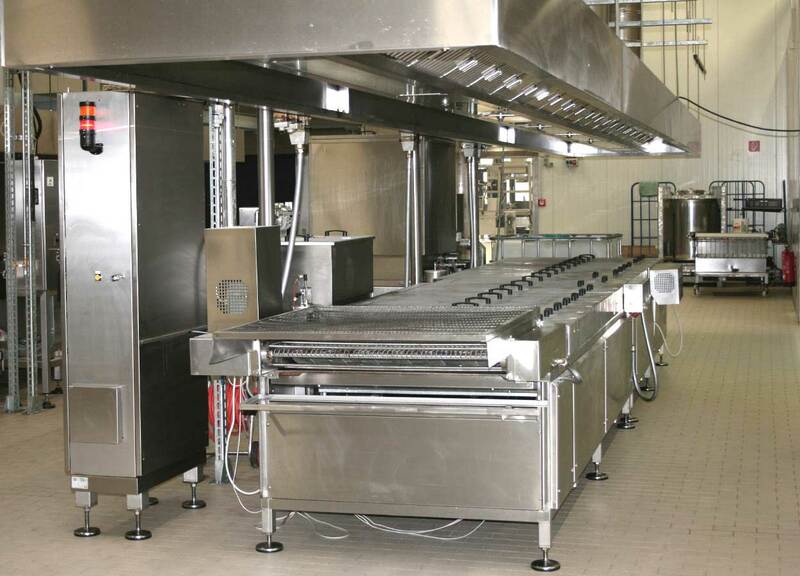 In only a few seconds, very small amounts of water suffice to extinguish the fire with our system and to prevent reignition – all without endangering kitchen staff. A certification based on EU/ISO standard 15371-2000 for the SEM-SAFE® DFF system has been issued. The system is available both as pump and bottle unit. Everybody wants to feel safe, especially when traveling. With our high-pressure water-mist fire-extinguishing systems that are also certified for hotel use, you can rely on comprehensive protection and safety anytime! The system is as safe as the air we breathe, and it saves about 90 percent of water compared to traditional sprinkler systems. This limits water damage after a fire and prevents long and costly downtimes and closures. 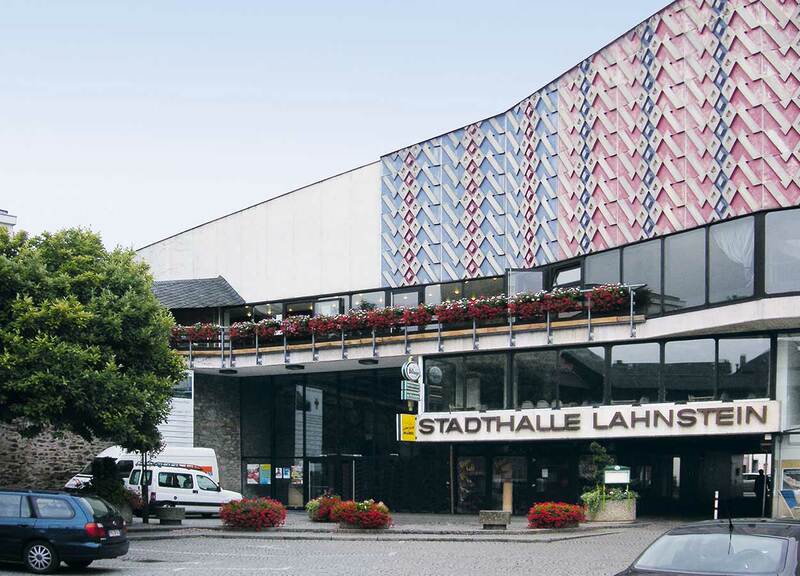 Hotel managers benefit from the extreme flexibility of our systems and their very small pipe diameters, both for retrofitting existing buildings (even historical buildings) or for fitting modern new buildings that meet the highest architectural standards. Our systems’ minimized water consumption allows the setup of a pump center with efficient storage tanks even in the smallest spaces. We would be happy to provide you with a personal consultation. 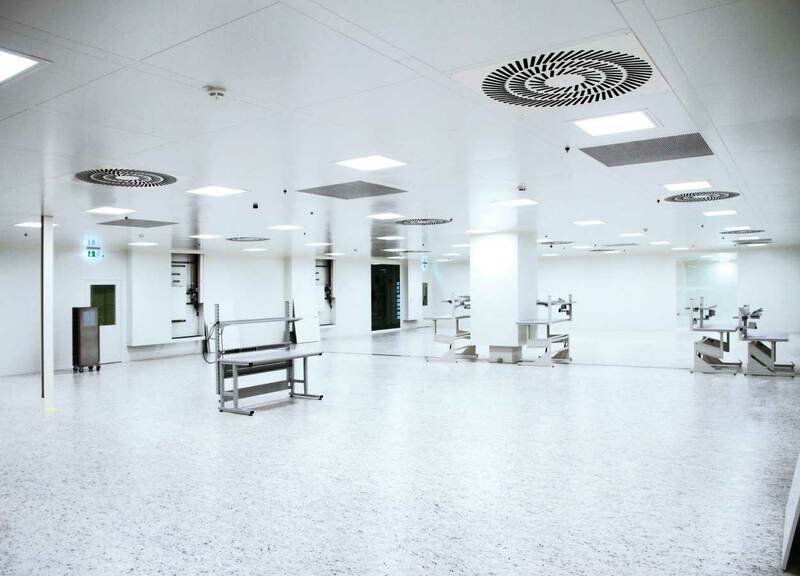 With our mobile fire-extinguishing systems, we enable you to provide temporary fire safety in a limited space, for example during reconstruction work or as an interim solution. For short-term structure protection, flexible pipe and nozzle systems are fed through mobile Callies cart systems, and they can be removed quickly and inexpensively as soon as the work is done. 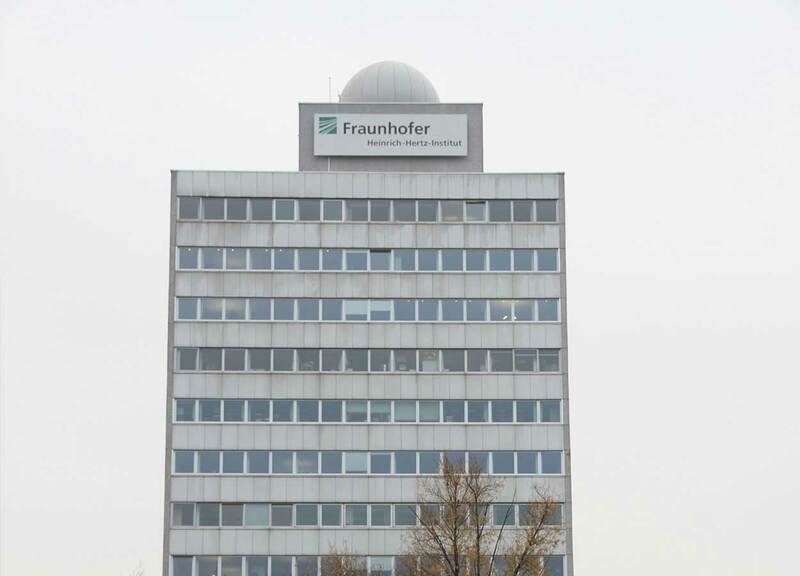 You are looking for an individual concept to protect your buildings or facilities? Contact us to arrange a site visit by one of our experienced fire-safety experts. 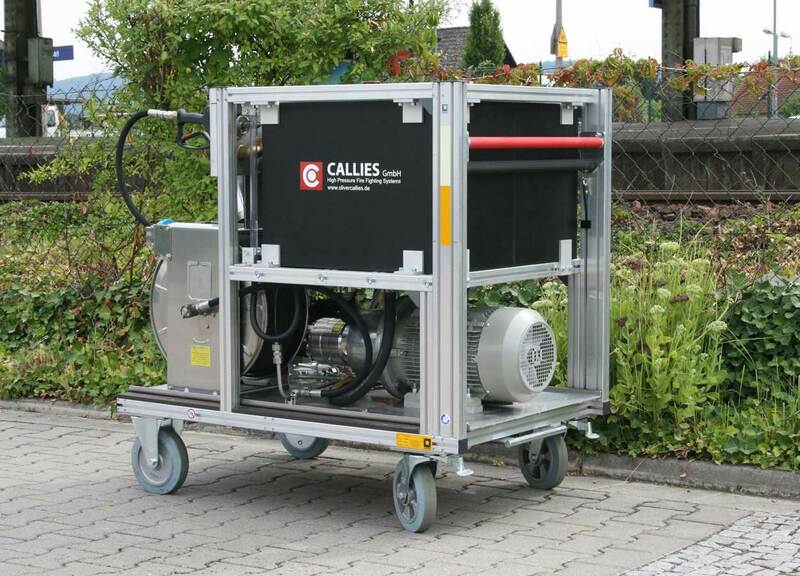 Whether mobile, semi-stationary, or stationary, whether for the protection of industrial processes or public buildings: Callies GmbH’s broad portfolio provides you with a choice of various customized fire-safety solutions with high-pressure water mist – backed by over 20 years of experience and excellent testimonials!